You know you’ve seen the signs that say things such as “Excuse the mess. My children are making memories” or “Sticky floor, dirty dishes, happy children.” Or heard women say that they would rather spend their time with their children than cleaning. I get all those. I really do. But they tend to make those of us who do like to keep a clean house feel a little guilty, like we aren’t spending time with our children. Even though I actually like the act of cleaning, since having Abby, I do tend to let certain house chores get a little worse than I used to. That is very okay. I am willing to let the house go for a little while or certain things go if my daughter needs me. But I do still keep a very clean house. I also don’t ignore my daughter. Abby had never known life without helping me do chores. Yes, I said my daughter helps me keep the house clean…and she likes it! She considers chores a fun thing. She even has her own vacuum cleaner. To her, household chores are just a part of our life. I don’t wait for her to be napping to do (most) chores. We do them together. As she gets older, I have been finding ways to make them more fun. Most the time she is just used to chores as an activity but sometimes we need something to make them a little more fun. 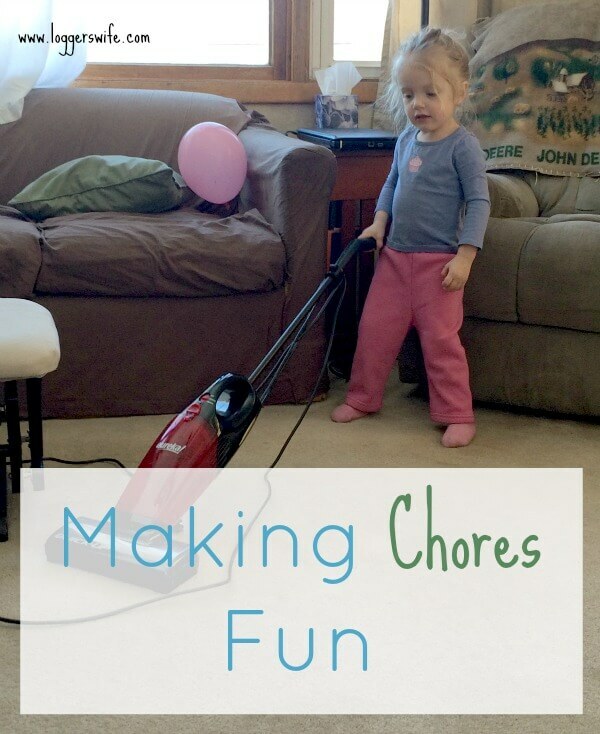 Making chores fun for kids can be very simple. Here are some of the things that I do. No, you don’t have to give your kids their own vacuum. Abby’s was a Christmas gift. She also gets a squirt bottle with water and a rag when we are doing windows. I do a lot of cleaning with vinegar so I will spray some on a cloth and let her clean something low while I clean something high. We often sing and dance while cleaning. Abby loves to sing and dance anyway so it makes cleaning extra fun for her. Kids like to just talk sometimes. They like to know they care about them and what interests them. So sometimes as we doing a quiet cleaning activity like washing windows or dusting, I’ll just ask Abby questions about her day, things she likes, what she learned in children’s church this week, etc. Most of the time Abby finds the act of cleaning fun. What can I say? She’s a freak of nature just like her mother. 😉 She’s never known life without helping me clean. We really only clean 30-60 minutes a day. I do do dishes by myself (most the time) and fold laundry by myself. Everything else we do together. 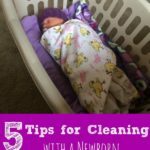 Making chores fun really doesn’t take much effort and it’s teaching your children important life skills for when they are on their own. 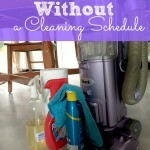 How do you incorporate your children into your cleaning routine? Oh my two kids love chores! My son loves to sweep and clean windows (I say clean, he smears really!) and they both adore washing the car with my husband! We do these things too! I think it’s so important that children learn how to work at a young age. No, they don’t have to be working all the time, but a few chores here and there are a healthy way for them to learn so many things including how to do a job well, perseverance, teamwork etc. Yes! Chores can be made to be so much fun! You’ve provided some lovely tips here! Our son likes to be affirmed as a helper and likes to work together with me so we form a “Cleaning Team” and we each take a job (he likes toilets, I like mirrors and sinks) and we work together. For some jobs we play the “see who can get done faster” game which is fun. Stopping by from Fellowship Fridays! I like that. “Cleaning Team.” Cute idea! I should remember the Just Talk tip. It’s a great time to give our kiddos extra love & attention! Thanks, Emily. I bet your daughter would love that! Thanks for such a wonderful post and encouraging too! Sometimes I get so focused on just getting things done, I forget about the fun. I really have to focus on teaching my children because truthfully, most times it is easier to do it myself. 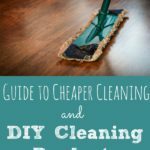 I go through seasons where I am really good about the children’s chores and other times not so much! Thanks for the good reminder! My girls help me with chores too. I find music to be a great motivator too! Thanks for sharing on the Shine blog hop. My littles always thought cleaning was fun. As they get a little older, it’s not so fun anymore 🙂 But thankfully, now it’s habit and they know to obey so it isn’t too bad. Brittany at Equipping Godly Women recently posted…Newlyweds are Supposed to Be Happy! Why Aren’t We?